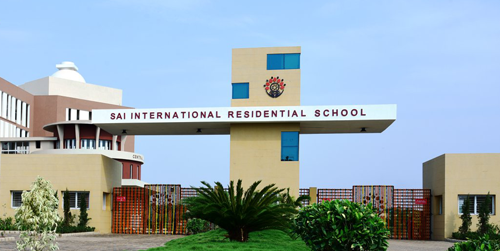 SAI International Residential School (SIRS) is a Global Gurukul with a strong International Character, catering to the needs of the 22nd century. It is a fully Residential CBSE-affiliated co-educational School with futuristic infrastructure and a dedicated team of highly qualified and competent teachers. SIRS is one of the latest endeavors of the SAI International Group, which was inaugurated by Chief Minister Shri Naveen Patnaik on April 2, 2018. SIRS provides a 24X7 and 360-degree edge to education for students from Class V to X and pledges to educate and enlighten the students holistically and honor the diversity of each individual. Students at SIRS are nurtured through the 7-Principles of SIRS to encourage them to be lifelong learners, self-disciplined, responsible, self-confident, thought leaders, persuaders of social welfare and humble and compassionate citizens. The values and personality of each learner is strengthened by the School’s ethos of leadership and social responsibility. The dynamically-designed curriculum offers great scope for creativity, intellectual-growth, academic-excellence, artistic-expression and achievements in sports. Each child is encouraged to develop a strong sense of self, an understanding of cultures and an appreciation of the diversity of human experience.